Scottish Canals and Glasgow Caledonian University (GCU) have partnered up to develop ambitious plans to bring visitors to Scotland's canals through the development of new community, visitor attraction and business opportunities in Glasgow, Edinburgh, Falkirk and Inverness. GCU and Scottish Canals will develop and implement a strategy for increasing tourism on the canals throughout Scotland following recent work to transform the local environment of Falkirk through the award-winning Helix project. 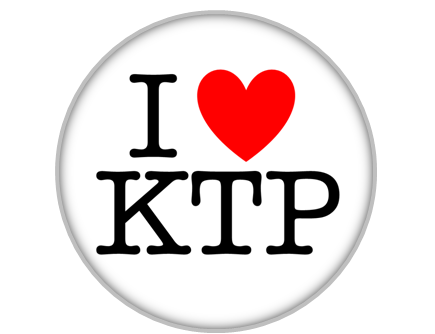 The new project will be overseen by Professor John Lennon, Acting Dean of Glasgow School for Business and Society and Director of the Moffat Centre for Travel and Tourism Business Development, which works on key consultancy and contract research projects in the travel, tourism, hospitality and events sectors. Professor Lennon has previously undertaken commercial projects for Scottish Canals in tourism business forecasting and worked on the successful Helix Park development. This summer marked the opening of a towpath along the Forth & Clyde Canal extension and the completion of a £1.3 million project to upgrade paths throughout Scotland's canal network. 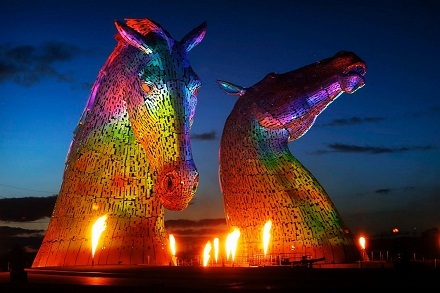 The Kelpies, 30-metre high horse-head sculptures, stand next to the new canal extension in The Helix, a parkland project built to connect 16 communities in the Falkirk Council Area.